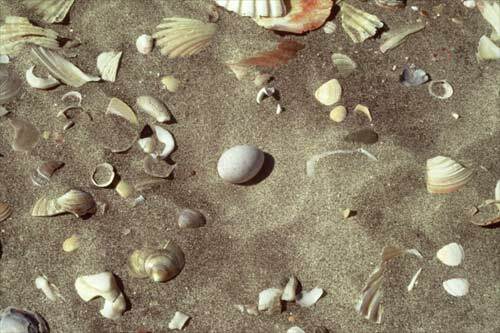 Found at Mangawhai, this sand scraping – an apology for a nest – holds an egg of the fairy tern. This is the smallest and rarest of New Zealand’s terns. One or two eggs are laid between November and January, the summer holiday period. People unwittingly disturb nesting birds and their chicks, letting loose with dogs and vehicles.